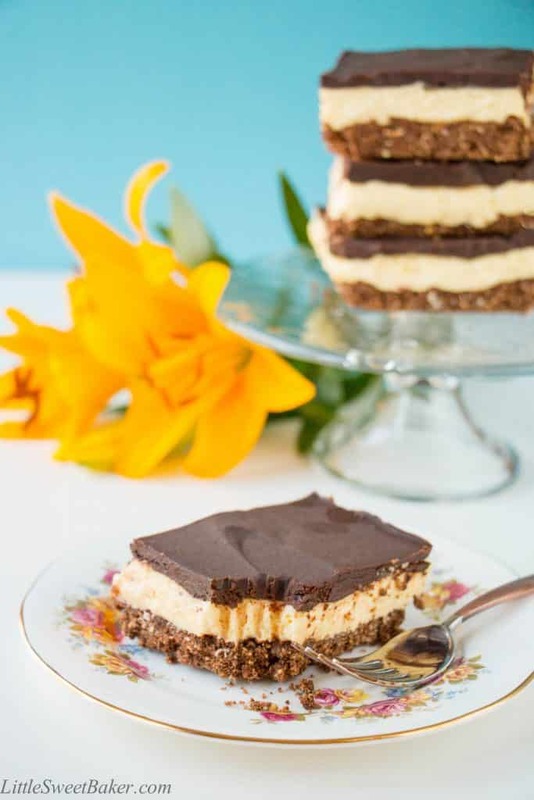 This no-bake dessert is made up of a creamy layer of vanilla custard-flavored cheesecake sandwiched between a chocolaty coconut cookie crumb base, and semi-sweet chocolate ganache. It is a cheesecake twist to one of Canada’s best known confections. 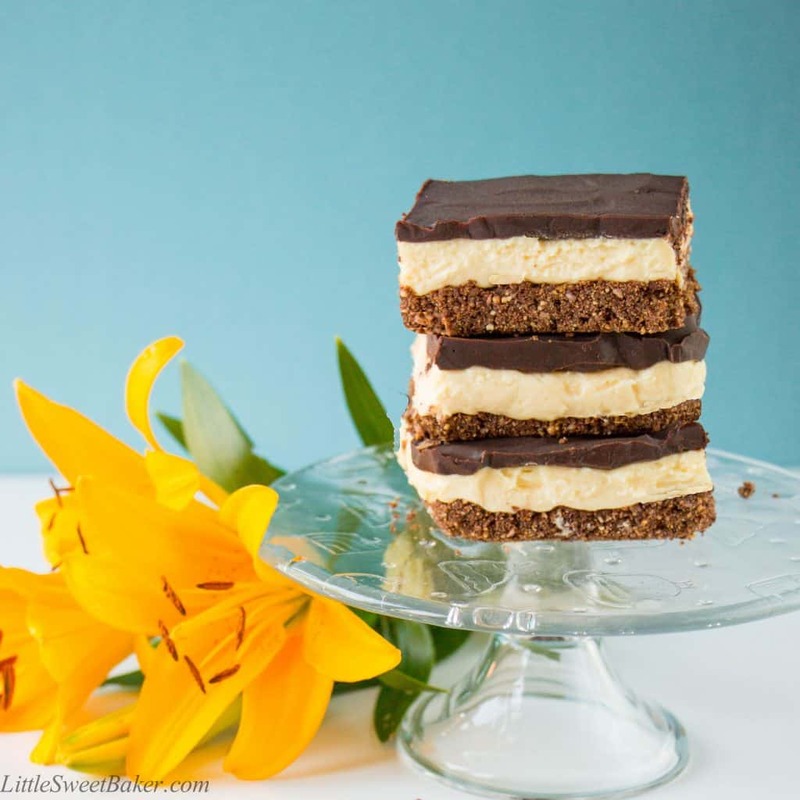 To celebrate Canada Day next week, I thought I would share my own spin on one of Canada’s best known desserts: Nanaimo Bars, which originated from Nanaimo, British Columbia back in 1953. The taste is of a creamy vanilla custard with a little tang. There is a hint of coconut with a bold chocolate finish. The texture is soft, smooth and crumbly at the same time. Whether you’re Canadian or not, you’re going to love this layered dessert bar. 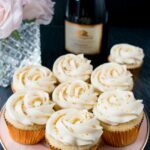 See how easy it is to whip up this delicious treat. This no-bake dessert is made up of a creamy layer of vanilla custard-flavored cheesecake sandwiched between a chocolaty coconut cookie crumb base, and semi-sweet chocolate ganache. Line a 9×9″ square baking pan with aluminum foil. Toss together the first 5 ingredients, then add in the melted butter and stir until mixture is moist. Press onto prepared baking pan and place in freezer. Combine all the filling ingredients with an electric mixer until smooth and spread on top of cookie crust. Place back into freezer. Melt the chocolate and whipping cream over a double broiler. Pour overtop of filling. Spread to cover evenly and chill in the refrigerator until chocolate is set. Cut into 12 or 16 pieces. I’ll be sharing this recipe at Fiesta Friday #125. 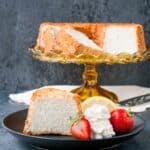 I love the cream cheese filling idea and can’t wait to try this recipe. I’d like to say though… Because it is a super sweet treat I’ve lways known it to be topped with un sweetened chocolate to offset the sweetness. The cheesecake filling is not nearly as sweet as the traditional buttercream filling, so the semi-sweet chocolate works well with this recipe. I hope you enjoy it and happy holidays! Oh Yum Lily. I have never heard of Nanaimo bars but they sound good. Thanks for sharing with us at Fiesta Friday. Happy FF! These bars look delicious Lily! They look so cool and perfect for a nice treat on these too hot days. Lily- I saw these @ Fiesta Friday and had to see what exactly a Nanaimo Bar was. Looks delicious! My sister lives in Victoria BC and talks about Nanaimo often. I’ll have to share this with her! 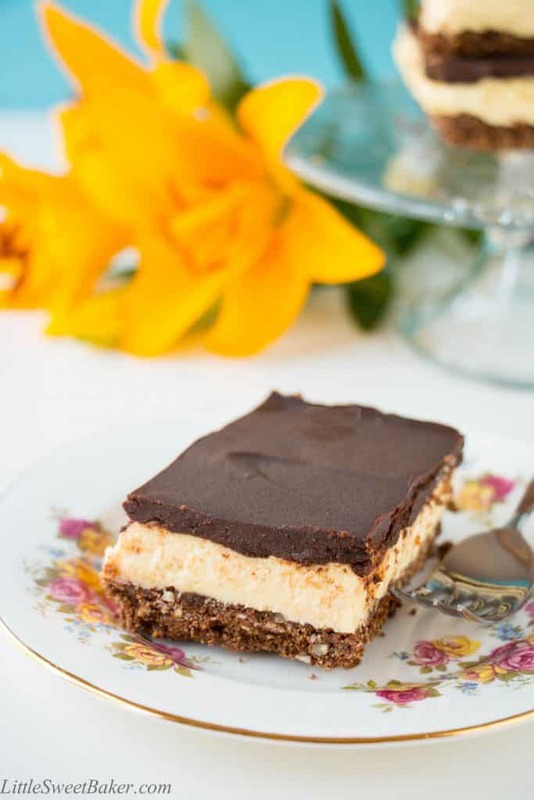 Better than the original Nanaimo Bar!! Thanks Lily! Lily, these look so good I can’t wait to make them! 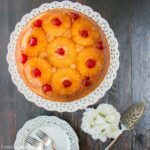 If I can’t find custard powder, is there a subsitute and how much would I use? These look phenomenal, Lily! 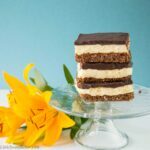 I’ve never heard of Nanaimo bars, but I love that you switched out the buttercream for cheesecake – it sounds far more flavorful and enticing!